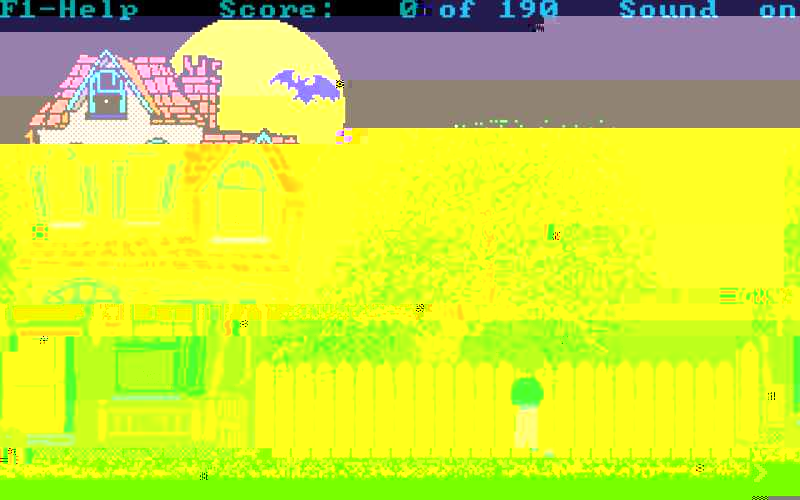 HHH.exe is a choice-based, very very mildly puzzly nostalgia-and-glitch piece about retro video games. I played it to the end. Sometimes I start a review by explaining that for idiosyncratic reasons I probably didn’t like it as much as most people will. In this case, though, it’s the other way around. But I did like HHH.exe, for some reason that wasn’t down to novelty or story or gameplay qualities per se. I think it was partly the idea of these Ur-layers of game, in which you’re progressing towards something more and more maze-like, more and more primal, which is at once Nethack and the minotaur of Crete. The sense also that (a bit overwritten though it may have been in spots) the emptiness outside the house was a darker and more sinister emptiness than any other kind, because it consisted of total absence, because of course there IS nothing implemented out there. Yes, aha, now I have it. Here is what I liked: the game reminded me, and to some very very slight degree re-evoked, that old feeling of apprehension that I used to have about games when I did not know the boundaries of what might happen in them; that old sense that there might be some unfathomable, inscrutably sinister event around the corner; that the periphery of the game contains secrets and those secrets are important. ULTRA BUSINESS TYCOON III is also about this feeling, among other things. This nostalgia recalls a time when both the game industry and I were a lot more naive; when design expectations were fuzzier and games occasionally did things that were just flat-out bizarre and so you did not know for sure what to expect; when I had way less cultural context, so that games were full of signifiers that I couldn’t interpret, and they seemed spooky, portentous, holy. Yeah, I’m romanticizing. But somewhere I have a little pink diary where, when I was seven, I wrote down the clues I was encountering in Scott Adams’ The Count. The same fear and fascination flickers in its pages. Meanwhile the labrys, the double-headed axe that HHH.exe uses as a sort of omen, is associated with my childhood in other ways that would take far too long to explain here. If you’d like, you may imagine that my parents were avid LARPers who used double-headed axes as their signature weapon in a long-running game, and that some of my earliest memories involved watching them donning costumes and carving themselves each a new labrys from cardboard. This would be false in fact but truthful in resonance. So it may just be completely personal bias, but I had a good time with HHH.exe. Also, mazes are way less annoying when the hyperlink coloration tells you which way you’ve already gone. This game has also been reviewed by Herr M, Katherine Morayati, Caleb Wilson, and the German IF community. This brings to mind the rather wondrous Rom Check Fail – http://www.farbs.org/romcheckfail.php. Not that there’s much in common between the two, but seeing the screen shot above in tandem with the words “glitch” and “retro” in your first paragraph could hardly fail to remind me of it.